As every landlord, developer and property dealer knows, the property market is influenced by supply and demand, finance, and the health of the UK economy. None of these remains constant. If you are a residential landlord, we can advise you on the implications of changes to the taxation of income, allowable expenditure and interest, and SDLT upon acquisition. 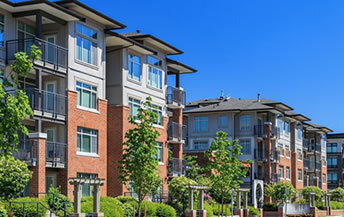 We know that the opportunities for residential developers are significant. Many schemes are now receiving fast-track planning – allowing swift development. Regeneration is a big government issue and commercial property is being converted into residential, encouraged by the relaxation of planning law to target the first time buyer market. This leads many developers to turn to mgr for advice on structuring and financing. Current market conditions and high SDLT make it hard for the residential property dealer to buy and sell property competitively. mgr knows the importance of having the right line of finance and we can help broker this for our clients. Residential letting and sales agents turn to mgr as their trusted advisor, particularly when it comes to the commercial aspects of running the enterprise. Depending on whether you are a residential developer seeking to structure accounting for a new residential development as tax-efficiently as possible, or a residential dealer seeking advice on clever borrowing ideas, mgr’s specialist property team can help.